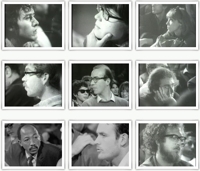 In 1970, I helped organize a teach-in on the Vietnam War at the Choate School. Richard Nixon had sent troops into Cambodia, thereby widening the war he had campaigned on having a “secret plan” to end and hundreds of colleges and some high schools went on strike in protest. 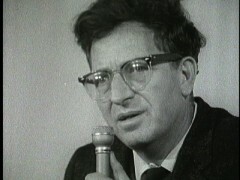 One of the anti-war speakers suggested Paul Goodman’s Growing Up Absurd as a book that could help us make sense of what was happening in our country. I got it, read it and liked it enough that I started reading Paul Goodman’s other books and frequent pieces in the New York Review of Books. I chased after his books, absorbed his ideas and used him as my moral compass. And that was all before I learned that he was an out bisexual as well as a married father of three. As a young gay man coming of age during the time of Stonewall, I’d never read anyone write so frankly and unapologetically about being queer as Paul Goodman did in his book New Reformation: Notes of a Neolithic Conservative (1970). That he did not focus one-dimensionally on sexual identity was very important to me because I didn’t feel that being gay should limit me to only caring about gay identity and my own distinct tribe. I wanted to be part of what he called “the Grand Community” and he was my proof that it was possible. That was when I was in my early twenties. In my mid-thirties, I was overtaken one day while at my desk at work with an unexpected urge to write about Paul Goodman. I needed to “get him out of my system” and reflect on what my Goodman infatuation had been about. I wrote, or should say, gushed out a 10-page letter and sent it off to historian-social critic Christopher Lasch, a Goodman admirer, for his feedback. I left my first meeting with Taylor in 1988 and thought to myself, “I am going to make that film.” I had no training in filmmaking and, being 34, wasn’t about to go to film school. So I kept the idea in the “to do some day” part of my brain. In 2003, when I was 50, I turned my attention to making this film. I went back to Taylor Stoehr and he gave me the names of about 10 people from various walks of life who’d been deeply influenced by Paul Goodman and also put me in touch with Goodman’s widow Sally and his two daughters, Susie and Daisy. Doing these interviews opened up a fascinating window on the world of 1950s-70s America. Goodman was a seminal thinker in the late 1950s when he was writing his future best seller (Growing Up Absurd) about disaffected youth, and he became a one-person brain trust for the early New Left. His wide-ranging interests – educational reform, anti-war pacifism, sexual freedom, poetry, psychology, and community planning – made for a very diverse group of people to interview. Speaking with his family and a few long-time friends, what began to emerge was a complex picture of a man of genius whose open bisexual life (in the 1940s!) made for a complicated domestic situation, not without its price for his wife and children. Here was a brilliant man who always felt “on the outs,” against the grain, and who yearned desperately for “contact” – a key term in Gestalt Therapy, the founding text of this school of therapy that he co-authored in 1951 with Fritz Perls. Because Goodman was so perceptive and because he had so many unacceptable impulses, he felt he never could fit in. Instead he discovered his vocation as a social critic and public intellectual, beholden to no one. In fact, no sooner did a group embrace him than he began to criticize their shortcomings and blind spots. Not an easy mentor, to say the least! I am convinced that Paul Goodman’s ideas are as relevant today as when he first advanced them. I hope Paul Goodman Changed My Life excites the idealism and curiosity of young people who face a world at least as complicated and threatened as the one Paul Goodman worked so hard to change. The broken threads of tradition and experience need to be rewoven so we are not continually losing our past and starting over, so that young people can connect to a rich cultural, social, political, and moral legacy that is theirs to inherit and to use. Paul Goodman always wanted to be useful, to be used. I believe my film can, as poet Adrienne Rich wrote me about her own hopes for it, “bring Paul Goodman back into the conversation.” It will be a richer conversation – that’s for sure.